MIDNIGHT FASHIONS HAVE RELOCATED NOW OPEN 7 DAYS A WEEK 10AM TO 6PM. Team Midnight raises over $150.00 in the annual Mothers Day fun/run. 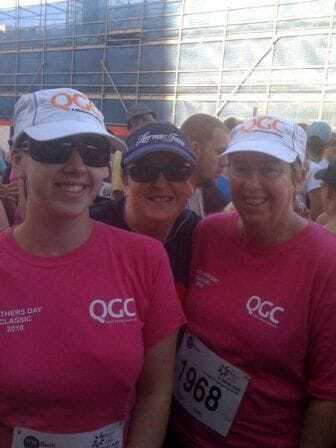 RACQ insurance International Fun/Run "Chicks in Pink" Fundraiser. Team Midnight ran the 5km course. Twilight Running Festival. Team Midnight participated in this fund raising event, and raised money for "Kids under Cover" charity. Queensland Brides Wedding Expo. What a great weekend, we met so many excited Brides to be. The fashion parades were so beautiful. August 2009 The Australian Heart Foundation "Bridge to Brisbane" 10km run was run by Team Midnight over $100.00 was raised.